I was so excited when I saw the Jar of Love stamp set in the new catalogue. I have seen mason jars used everywhere and for everything. From vases to sundae glasses and everything in between. So I knew this stamp set would be a popular one. I have had it now for over a week and thought it was time to have a play with it. Oh my gosh I loved how this card came together. It is even better than what I had planned in my head. 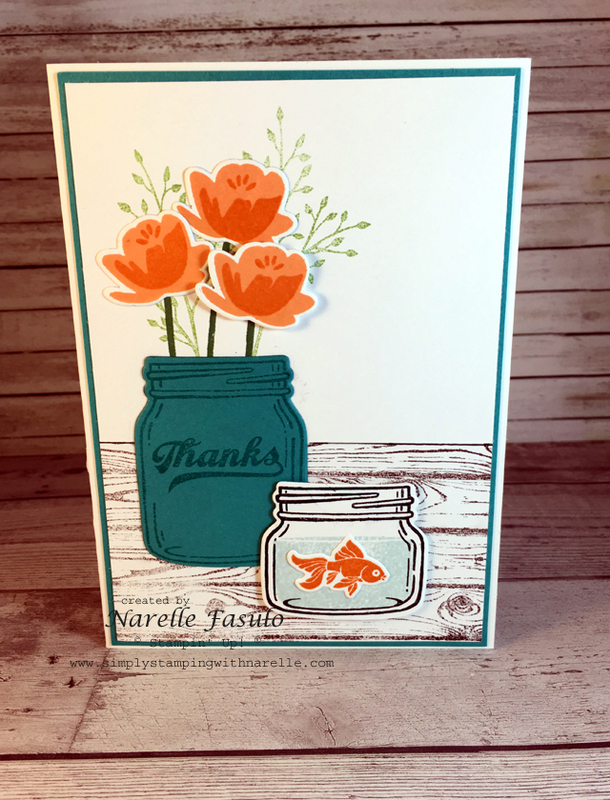 The stamp set not only has the jars in it, but has flowers and the cutest little fish as well. 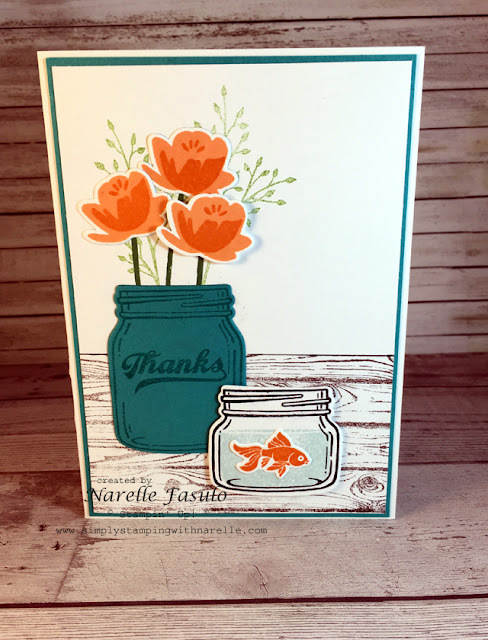 The matching framelits, Everyday Jars, is fantastic for making coloured jars like the ones you have probably seen on Pinterest that have been painted. Just like my Island Indigo jar on this card. I can see me using this stamp set and framelits a lot. So make sure you come back and visit again soon to see just what else I make with it.